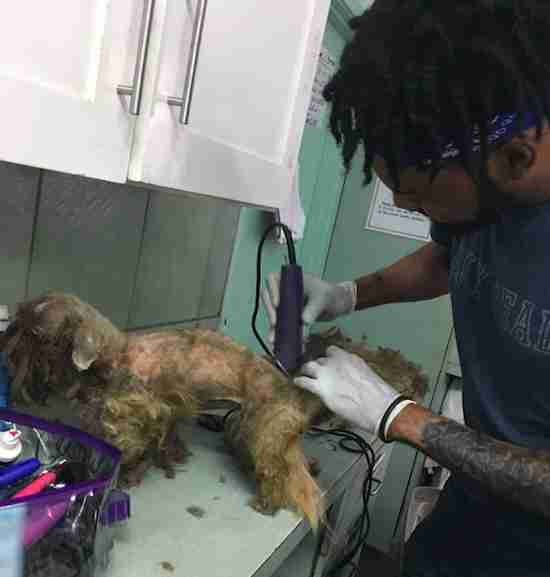 When a shelter worker at the Bahamas Humane Society made the first snip into Millie’s matted fur, the dog couldn’t stop licking his hands out of joy. 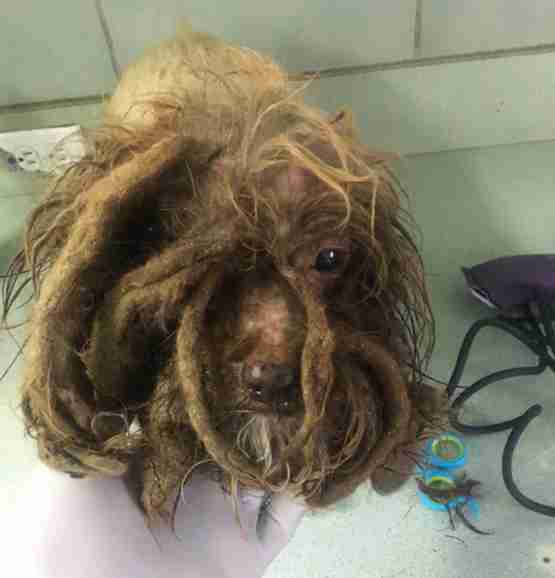 Picked up as a stray in October 2017, Millie had been living under the weight of her overgrown coat for so long that she struggled to walk since the mats continuously pulled at her fragile skin. 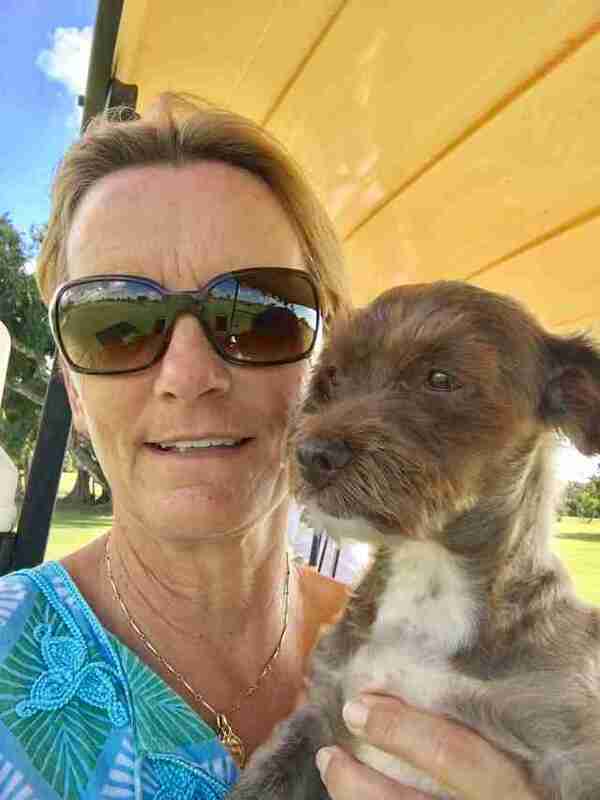 Patricia Vazquez, a shelter volunteer and board member, knew as soon as she saw Millie that the tiny dog would be coming home with her. Once 3-year-old Millie was free from all her fur, it was clear she had gone without food for quite some time. She also had open wounds on her front legs — presumably from the knots pulling at her skin for so long. But within a few weeks of being at home with Vazquez, Millie had improved tremendously. 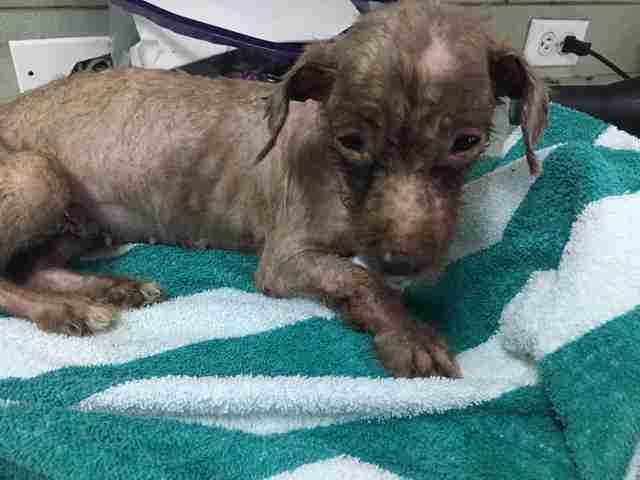 She was slowly putting on weight and gaining strength, and loved becoming part of the family. “Everywhere I go, she follows me,” Vazquez said. And the bulk of the time, that leads her to Finca Nati Animal Sanctuary — Vazquez’s small rescue located 3 miles from her home. 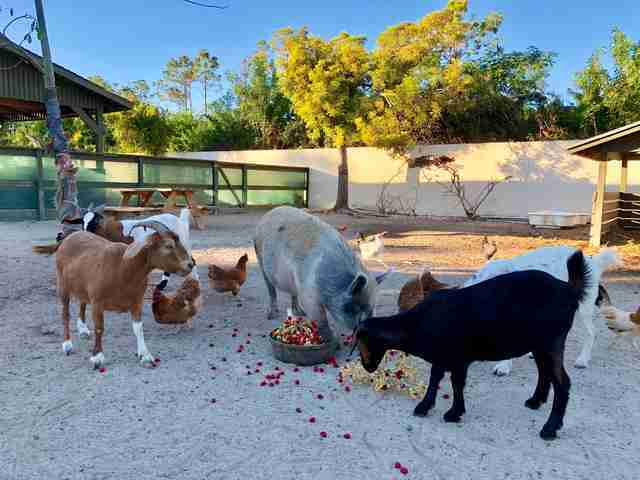 Vazquez takes in and cares for neglected animals of all kinds, from tiny bunnies, chickens and dogs to goats, sheep and ponies. Millie may be small, but it didn’t take her long to make friends with even the largest sanctuary residents. Although the family lives in the Bahamas, Millie isn’t very fond of the ocean. 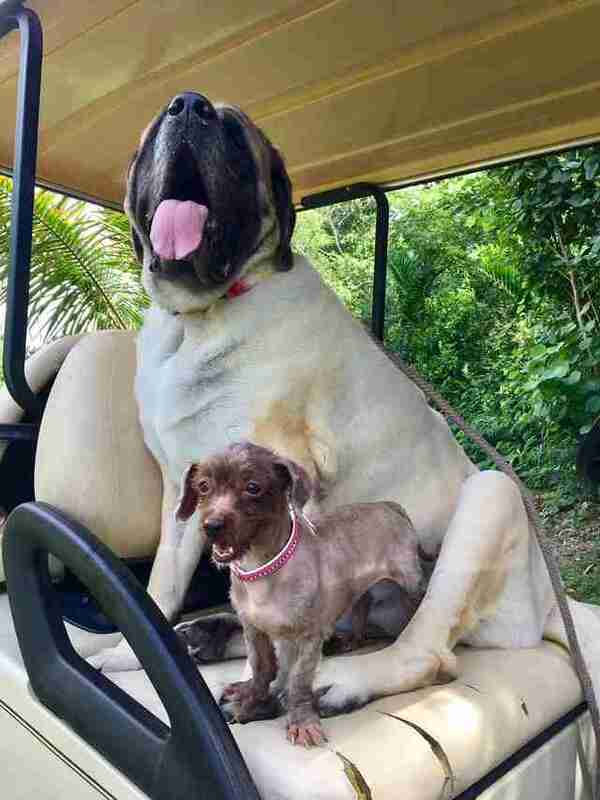 Instead, she prefers riding in a golf cart with her big sister, Maggie the mastiff. And after all the years she spent trapped under her own fur, Millie goes for a ride at any chance she gets. 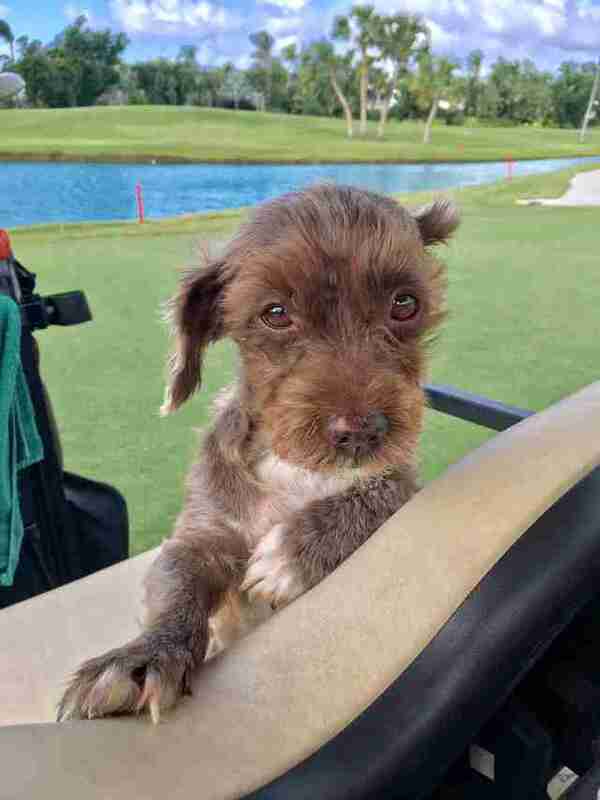 To support the care of animals like Millie, you can make a donation to the Bahamas Humane Society.